Figure 1: This yellowish line on the DJI Phantom prop hub is finer than a hair and nearly invisible. 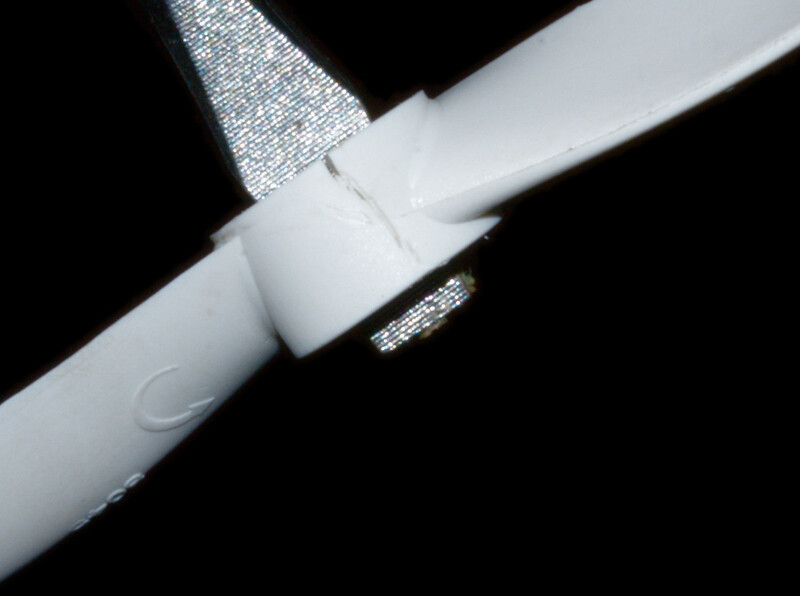 Figure 2: Applying slight tension to the prop hub reveals that the fine line is actually a severe crack. This crack will expand over time, until it reaches all the way across the prop hub. At that point the entire prop will likely break in two during some high throttle maneuver, and the quadcopter will fall out of the sky, perhaps to be severely damaged or destroyed on impact. 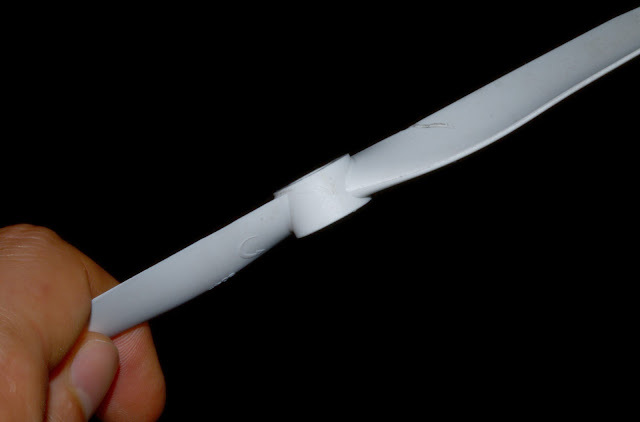 So I advise to remove your props regularly, and check carefully for hairline cracks, especially in the hub area. And after a crash or prop strike, check the props before flying again, and replace any that have even small hairline cracks.